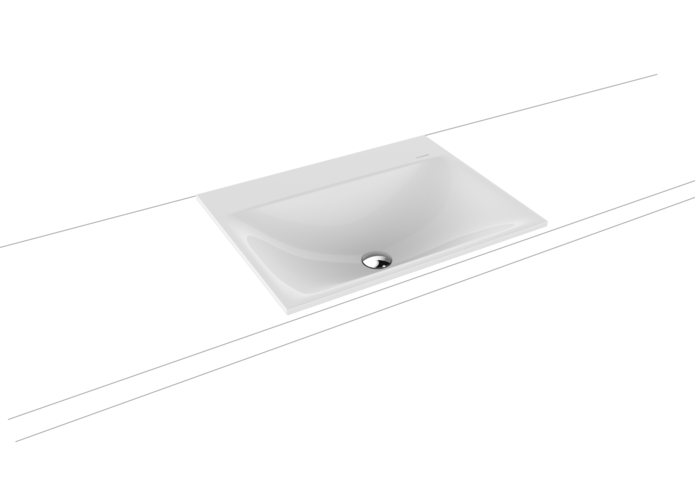 The sensuously modern design of the SILENIO line is even more thrilling in the shape of the built-in washbasin. It is a real delight to see the gentle organic interior flowing out into the narrow, precise washbasin rim which is a mere 14 mm high. The fluid, filigree design allows the washbasin to visually merge with the chosen console or piece of furniture. And no matter which size you choose, a SILENIO built-in washbasin offers you lavish space for taps and accessories.